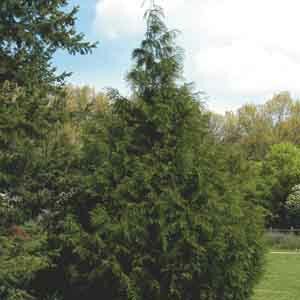 Also known as Western Red Cedar, plicata is a tall, columnar species of Thuja. Named varieties within this species offer a choice of mature sizes to fit any landscape, as well as a range of colors from dark green to gold striped. Dense foliage makes a great informal hedge row or privacy screen. The perfect solution for narrow spaces.